Modern and friendly family home, in the tranquil and secluded setting of the picturesque heritage towns of Ballina and Killaloe on Lough Derg. Within 10 minutes walk of the hotel, restaurants, pubs and shops. It is also an ideal base for touring the counties of Clare, Tipperary, Limerick, Galway and Offaly. 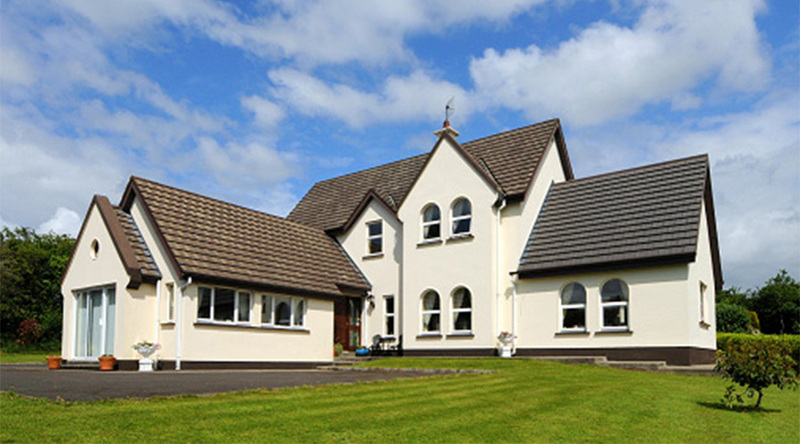 Located 30 miles from Shannon Airport and 14 miles from Limerick City and Limerick University and 12 miles from Nenagh. Private car parking available.Whitethorn Lodge offers luxury accommodation in th picturesque towns of Ballina and Killaloe on Lough Derg and the River Shannon. The Bed and Breakfast is located in a tranquil and secluded setting with private parking and garden. Guest Rooms on ground floor are bright and spacious and designed for maximum comfort with ensuite, TV, tea and coffeee making facilities, hairdryer and WiFi internet access also available. Each guestroom has Failte Ireland, 4 star approved facilities which are wheelchair accessible. Guests can choose from an extensive breakfast menu. From its convenient location, guests can take a 10 minute walk to the lake, hotel, pubs, shops and award winning restaurants. Whitethorn lodge is an ideal location for anglers. Anglers can avail of the drying room and bait fridges which are availible on-site while fishing tackle is availible to purchase within 400 meters. Whitethorn lodge is located within 10-15 mile radius of four Golf Clubs, the closest being the 18-hole East Clare course. Walkers can enjoy the local scenic countryside as there are numberous mapped and signposted walking routes. Whitethorn Lodge is also an ideal base for touring the counties of Clare, Tipperary, Limerick, Galway and is just 40 minutes from Shannon Airport.